one of the things i promised myself i would tackle this year is cooking with diffrent kinds of grains (it’s easy for me to fall back on my staple brown rice and ignore all the other delicious and fun grains out there). so yesterday i made this tasty little salad! 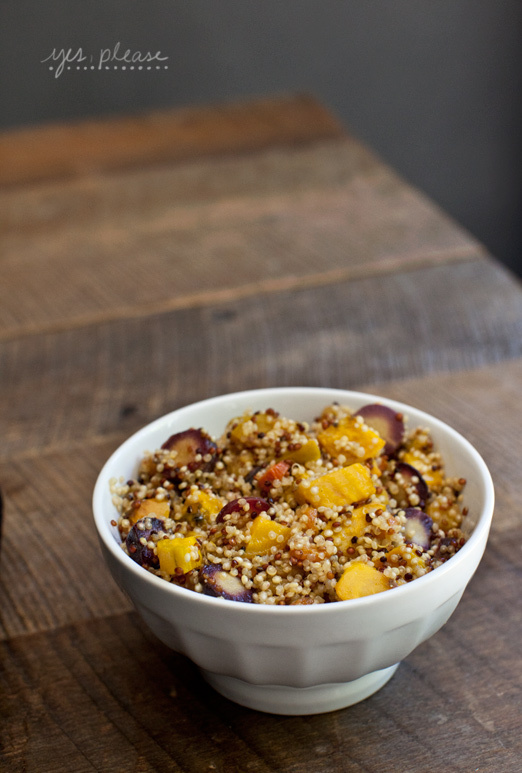 roasted veggies, quinoa, the perfect dressing: it doesn’t get more simple, healthy or delicious. next time we eat this i’ll serve it on arugala or mix in some watercress to get our greens in there too. yum, yum, yum. when the veggies and quinoa are done mix in a large bowl and add salad dressing, sea salt and pepper to taste. i prefer this salad when it’s had some time to chill for a bit and I definitely like it best served on greens. Mm, looks good! I love the colours of the veggies. 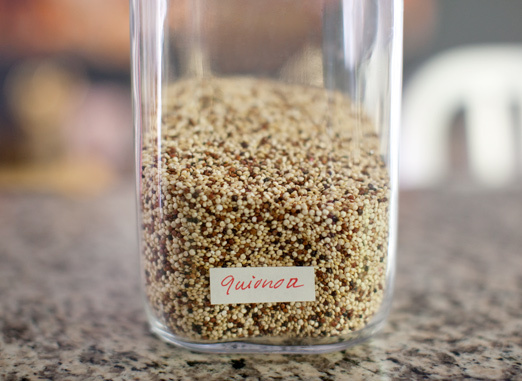 Quinoa is so good – although it's not a grain at all, but a seed! Good news for gluten-free eaters! The perfect recipe to kick off a healthier 2012!! 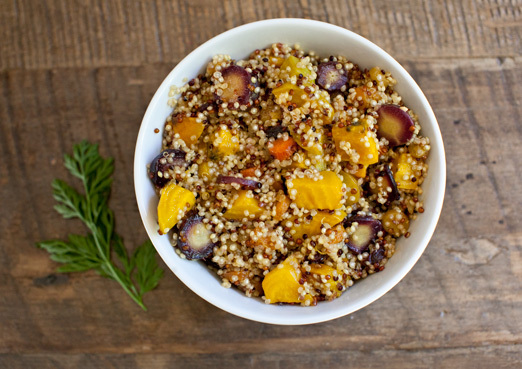 And Meaghan is right — quinoa is PACKED with protein. More protein than carbs, for sure! Thank you for giving you my dinner menu for this evening. Officially doing a farmers market run at lunch! Looks delish! I'm all over it. This was wonderful!! Thank you. the dressing was great, although I didn't have maple syrup so I used half honey/half molasses. We will keep this recipe around. market with a continua earnings stream.